This article was originally published by my friends at Perfect Keto. There are 108 ketogenic diet foods to avoid that will slow down (or shut down) your body’s fat burning capability. The list of foods to avoid is extremely important on the ketogenic diet. 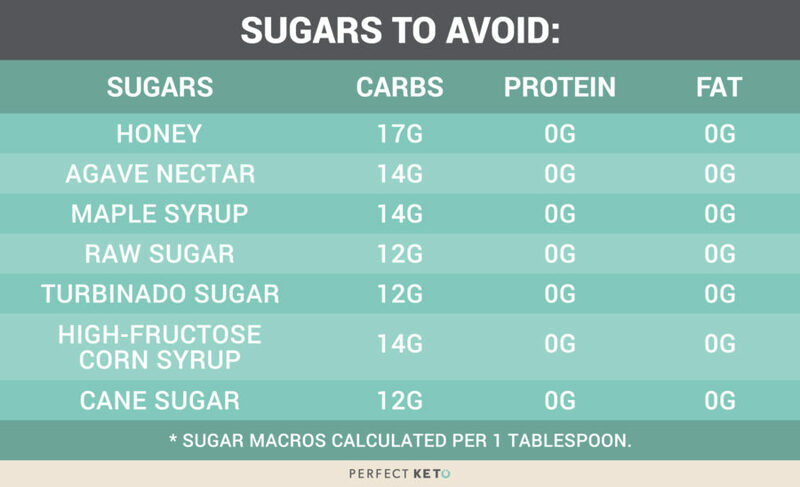 Remember that carbs must be kept very low to remain in ketosis. Most people need to stay within 20-30 grams of net carbs per day, and protein shouldn’t make up more than 20-25% of total calories. Too many carby foods can very quickly bring you out of ketosis and slow down your body’s fat burning capabilities. 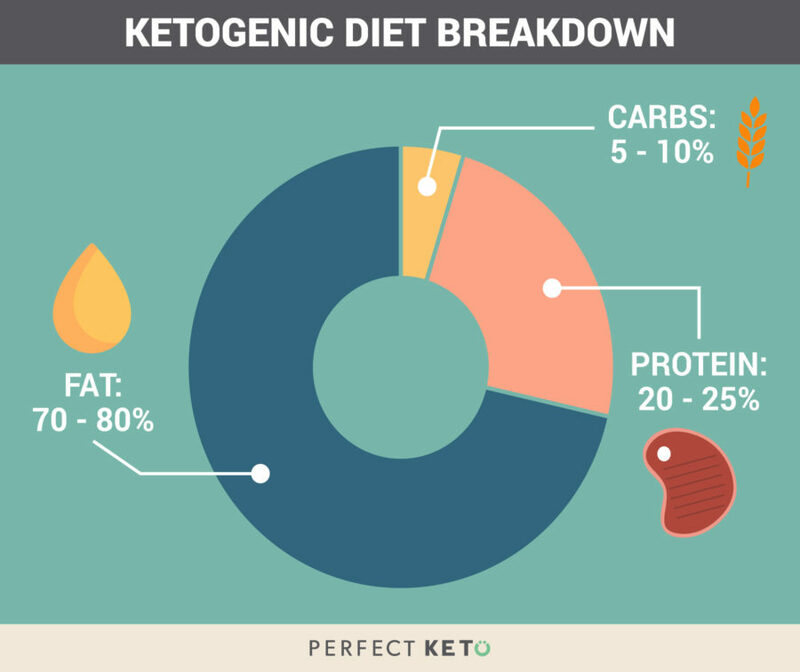 This is why the foods below should be avoided on a ketogenic diet. Not to worry, though. 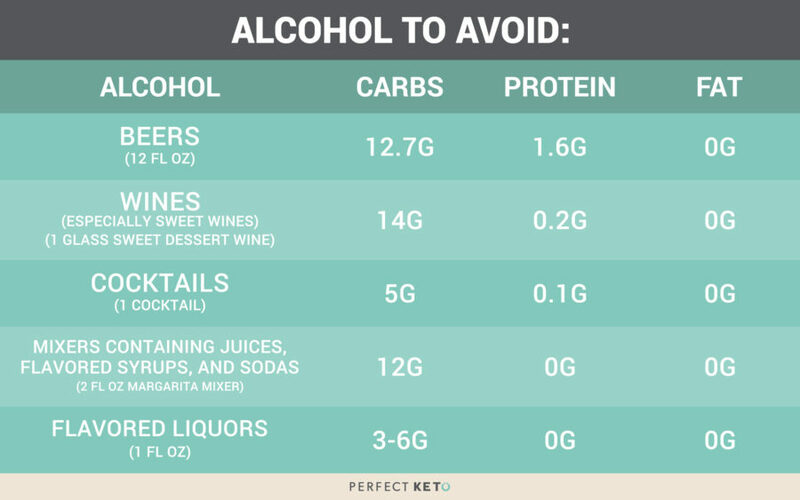 We’ve made it easy for you with this cheat sheet covering the biggest keto foods to avoid and why. Want a quick and easy meal plan that doesn’t include any of these keto-unfriendly foods? We’ve created one for you. Click here to get the FREE downloadable meal plan now. All grains—and foods made from grains (yup, even whole grains)—should be avoided. Sure, but that doesn’t mean they’re keto-compliant. 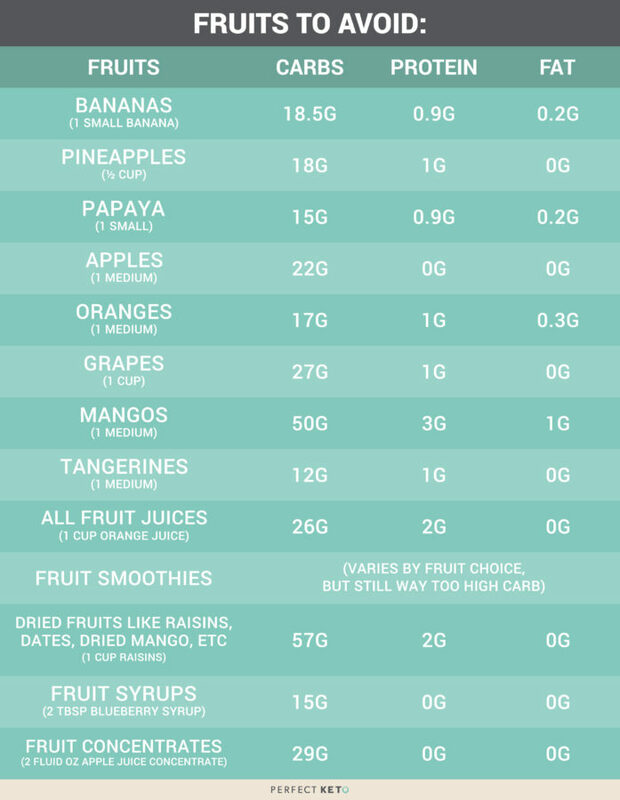 Fruit is high in sugar and carbs, so is usually a no-go on the keto diet. That includes tropical fruits, fruit juices, dried fruits, and fruit smoothies (for the most part). If you do have fruit, choose lower-sugar options like blueberries, blackberries, and raspberries, and eat them sparingly. Avoid any vegetables that grow beneath the ground and focus on more on the leafy greens. 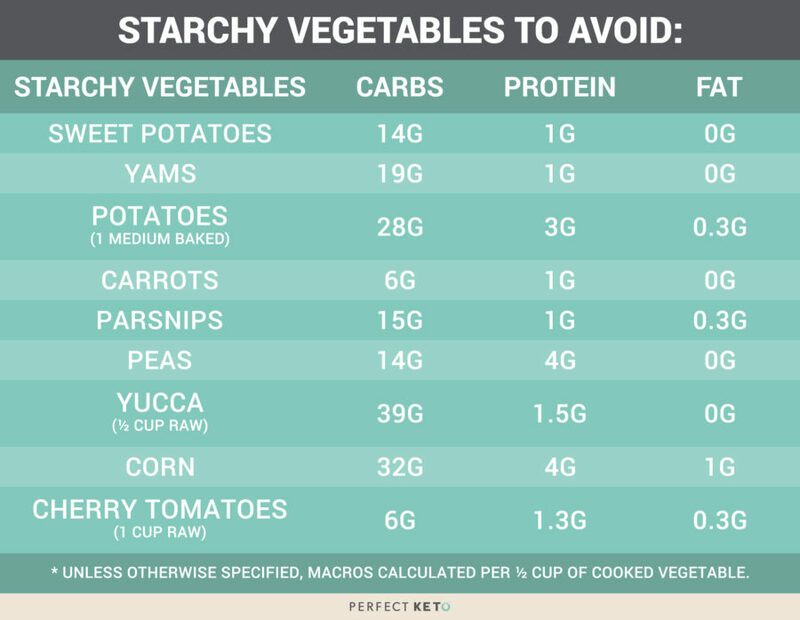 The high starch content of some vegetables (like those in the list below) is problematic because—like with beans—high-starch means high-carb*. Sugar has 56 different names on nutritional labels. There are hidden sugars everywhere. Active people might wonder if they need more carbs after a workout. The truth is the importance of carbs for exercise is often way overblown. For competitive athletes and those looking to build a large amount of muscle, such as bodybuilders, there might be a need for a slight carb-up. In this case, a targeted ketogenic diet might be appropriate, where carb intake is increased slightly around workouts. Otherwise, the average active person on a ketogenic diet shouldn’t have a huge need for extra carb intake. The most important factor with muscle building is an increase in overall calories, not carbs. On a ketogenic diet, that translates to more fat. What? Avoid protein? Surprising, but yes (sometimes). You can eat abundant protein on keto, but low quality proteins should always be avoided. 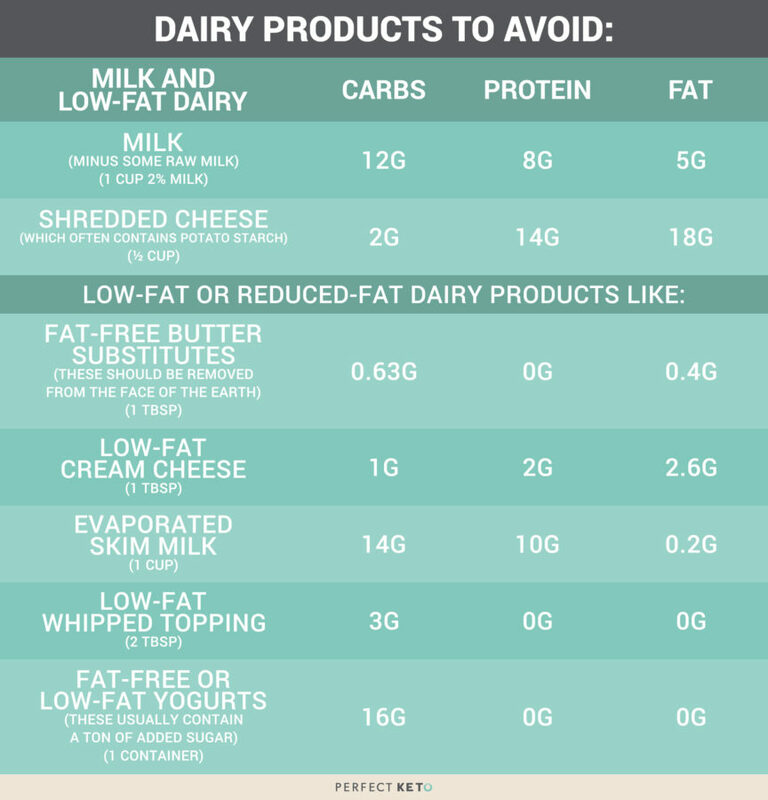 Full-fat dairy products like yogurt, butter, heavy cream, and sour cream are okay on the ketogenic diet, but avoid all other milk and low- and reduced-fat dairy products. Not only is it too high in carb content, but pasteurized milk is hard to digest for most people, is lacking in beneficial bacteria, and usually contains harmful hormones. Raw milk is okay in small amounts (start with no more than a serving per day), just don’t forget to account for the carbs. Choose organic, grass-fed animal products. Perfect Keto’s founder Dr. Anthony Gustin has a tremendous series on why source matters and guides on how to buy good food. 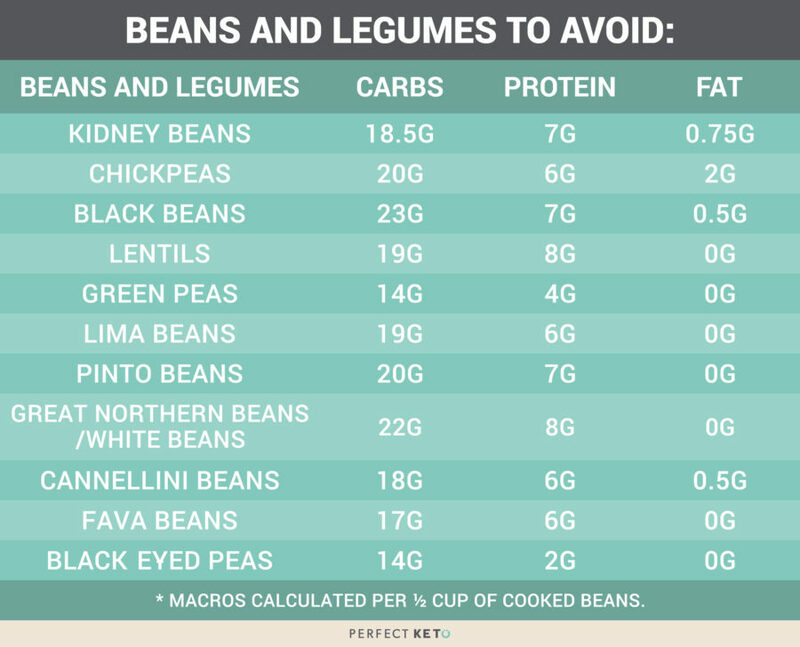 Avoid grain-fed meats and dairy, as they are lower in nutrients. Stay away from factory-farmed fish and pork products, which are high in omega-6s (that are inflammatory in too-large amounts). Plus, factory-farmed fish is usually high in mercury. Avoid processed meat like hot dogs and packaged sausages, since they usually contain nitrates that are harmful and possibly even cancerous. Dr. Anthony Gustin (@dranthonygustin) also buys a lot of local meat whenever he can, like this full lamb pictured below which came out to less than $3/lb when buying in bulk! It’s better to avoid drinking your calories on any diet, and stick to water. 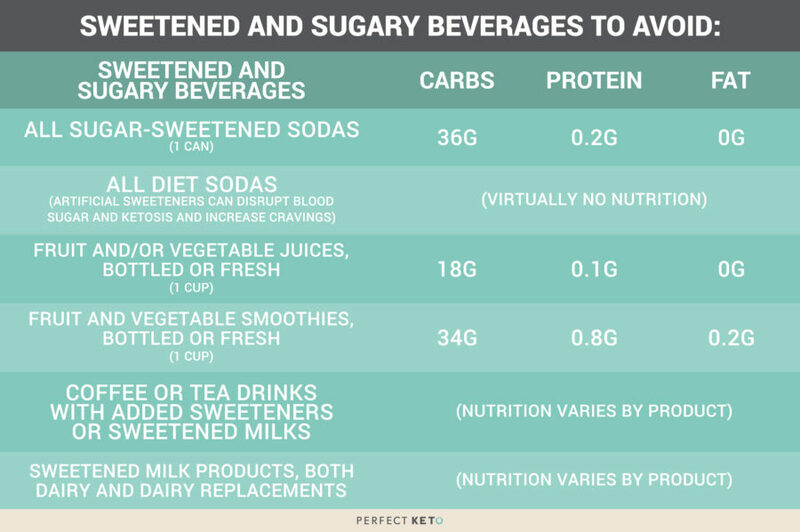 The keto diet is especially sensitive to dehydration and therefore electrolyte imbalances, so be aware of beverages aside from H20 and smoothies. If you are drinking, reach for hard liquor first (is that the first time you’ve ever heard that suggestion?) Even though it’s also made from carb sources, those sugars are converted to ethyl alcohol during the distillation and fermentation process. Alcohol is ethanol, which is readily broken down into sugar. Make no mistake, though: from your cells’ perspective, drinking a glass of wine is like sipping soda. 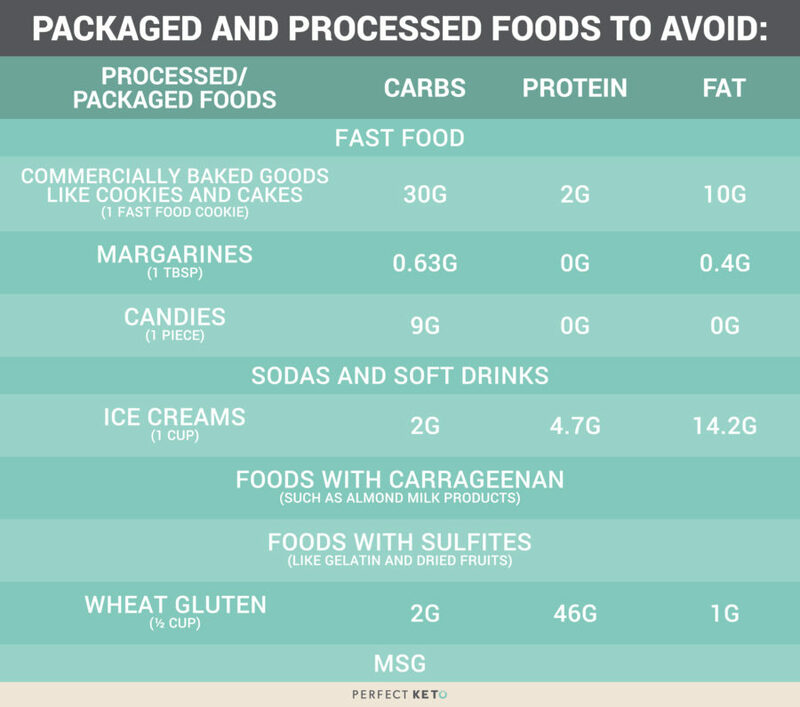 And beware of packaged foods that label themselves as “low-carb” or “zero-carb” (like diet drinks, sugar free gums or candy, and Atkins products). They might be low in carb content per serving, a serving size is likely very small and not satiating, and they may have added gluten or artificial additives or flavors. Focus instead of whole food ketogenic foods. Do You Get a Cheat Day on the Keto Diet? Cheat days (or even cheat meals) are not recommended on the ketogenic diet. They can easily kick you out of ketosis and reverse any progress, so try your best to avoid these foods consistently to remain in ketosis. Some foods we’ve mentioned are okay “in small amounts.” We can’t give an exact amount because that will vary per person. 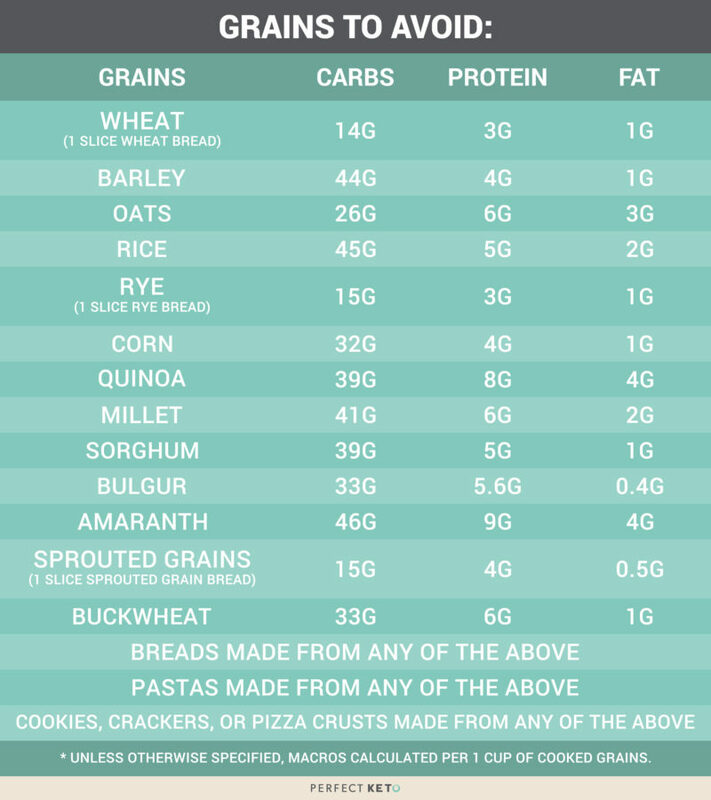 Get familiar with how many carbs are in a serving of these foods, then consider how they fit within your calculated daily macros. Over time, you’ll get used to knowing which foods you can eat a little of and which ones need to be avoided completely. Bottom line: whether your goal with the ketogenic diet is weight loss or improving a disease, the stricter you are in avoiding these foods, the better chance there is of seeing quick results. Ketosis is a measurable state of metabolism, not just an idea or methodology, so foods can’t definitively be labeled “keto” or “not-keto”. 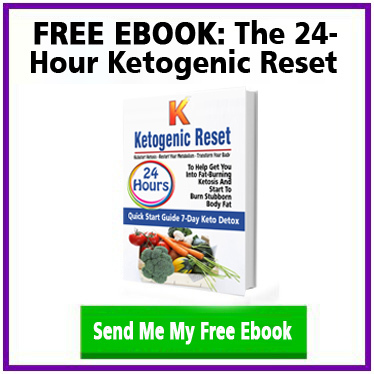 The only way to know is to eat foods that you think will put you in ketosis and then test your ketone levels. Anything less is guessing, which is literally like showing up to the basketball court and taking a three-point shot, and then closing your eyes and trying to tell if it went in.